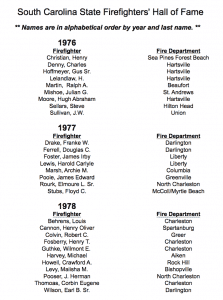 The Association is honored to present the list of Firefighter’s Hall of Fame recipients for the State of South Carolina. 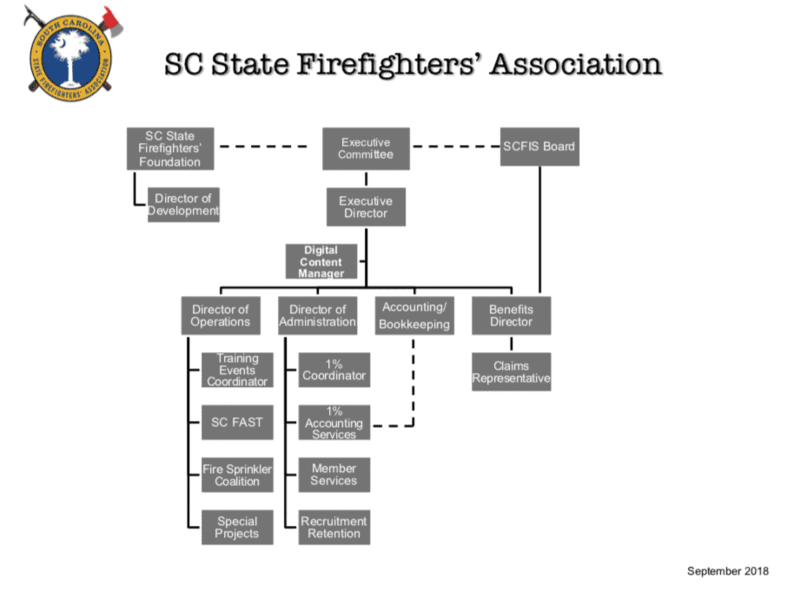 The SC Firefighters’ Hall of Fame is located in the Denny Auditorium of the SC Fire Academy. The Hall of Fame was originally located at the SC Fire Academy Administration Building of the Airport Campus from 1976 until 2003. The new location was re-dedicated on October 20, 2012. Connect with us via Facebook and Twitter. Join in the discussion with other members across the state! Receive Association updates by text message. Send "follow scfirefighters" to 40404 from your cellular phone!